On October 1, 2012, The Global Conversation began publication of one of the very first places on the Internet where world events and personal lives can be explored on a regular basis within the specific context of The New Spirituality. Here is the staff of this publication. You have an opportunity now to list your name among our contributing writers. 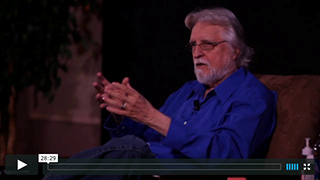 NEALE DONALD WALSCH--Publisher & Editor-in-Chief…is the author of 28 books, including seven New York Times best-sellers. His Conversations with God series has sold over 7.5 million copies and has been translated into 37 languages. Among his other titles: Happier Than God, When Everything Changes, Change Everything, The Storm Before the Calm, and The Only Thing That Matters. He travels the globe offering lectures and programs helping people to integrate the revolutionary spiritual principles of the Conversations with God cosmology into their daily lives. Readers may engage in personal dialogue with him at www.CWGVillage.com. NANNETTE KENNEDY -- Managing Editor & Administrator…Nannette lives in Fort Collins, Colorado, with her husband, brother, son, daughter and granddaughter. She has an older son who lives with his wife and their brand new daughter in Denver, Colorado. Nannette loves to write and has been writing since she was 7 years old, the year she received her first typewriter. Nannette did both her undergraduate and graduate studies in English and creative writing at Colorado State University. While at Colorado State, she held the position of the Managing Editor for the Colorado Review, an international literary journal. Several of her short stories and poems have appeared in journals and magazines. Nannette has been involved with Neale Donald Walsch's organizations for the past 8 years. She currently is also the Worldwide Communications Coordinator and the Co-cordinator of the Spirituality in Action program, both within Humanity's Team. She also assists Neale Donald Walsch with the Evolution Revolution group and the upcoming CWG Connect community. With the messages and inspirations from Conversations with God, Nannette hopes to see peace on our planet and Oneness deeply understood around the globe. EM CLAIRE -- Feature Editor… is the author of Silent Sacred Holy Deepening Heart, an award-winning book of poetry that has gained notoriety in the New Thought movement due to its relation to what has been called “the Awakening process”, or, the leap in consciousness many are experiencing around the world. What began as a fondness for sharing the poetry born from her own transformational process soon became a devotion to sharing these poems in the retreats and workshops of spiritual teachers in the United States and abroad, with the intention of supporting others encountering the rigors of what is often experienced as a “deconstruction” and “reconstruction” of the human being often referred to as the “Dark Night of the Soul”, or “The Hero’s Journey” – a term made popular by Joseph Campbell, who believed this phenomena has been recounted and recorded in cultures throughout the world for thousands of years through storytelling, mythos and symbolism. Prior to the publication of Silent Sacred Holy Deepening Heart and the accompanying audio version that spans three CDs, Ms. Claire practiced as a massage therapist for fifteen years and is deeply passionate about the healing potential of human touch and energy work, as well as the importance of diet and nutrition and access to organic, or “naturally occurring” food sources. Em Claire is currently involved in a project that aims to bring more attention to the plight of the world’s spike in disease and malnutrition for the many life forms on earth, and to our rapidly disappearing Honeybee population, which, if caused to become extinct, will be followed only four years later by the Human Being, scientists predict. She is dedicated to bringing more attention to the many ways we can return to our natural, harmonious state of health as a people and as a planet. Ms. Claire has illustrated two children’s books, A is for Alligator, by Nancy Bringhurst, and Santa’s God, by Neale Donald Walsch, and is author of the cartoon strip, “Where’s My Treat?” She lives in Ashland, Oregon with her husband, Neale Donald Walsch, author of the Conversations with God series. She may be reached at Em@EmClairePoet.com. LAUREN ROURK -- Feature Editor…is a high school senior at Fenton High School in Wood Dale, IL. With an extensive knowledge of EFT Tapping, Applied Kinesiology, and Primordial Sound Energy, Lauren continues to discover and expand her level of awareness. She has been an active volunteer with various spiritual communities and organizations, including the Theosophical Society in America. Earning regional and national recognition for her abilities in writing and speaking, Lauren is ready to share the messages of Conversations With God with teenagers all across the globe. You may contact Lauren at Lauren@TheGlobalConversation.com. J.R. WESTEN, D.D. -- Feature Editor..is a Holistic Health & Spiritual Coach who has worked and presented side-by-side with Neale Donald Walsch for over a decade. He is passionate about helping individuals move beyond their emotional and spiritual challenges, transforming breakdowns into breakthroughs. His coaching provides practical wisdom and guidance that can be immediately incorporated to shift one's experience of life. As is true for most impactful teachers, JR's own struggles and triumphs inspired him to find powerful ways of helping others. Sober since June 1, 1986, JR's passion for helping individuals move through intense life challenges drove him to specialize in Addiction and Grief Recovery. J.R. currently shares his gift of coaching with individuals from around the world through the Wellness Center, Simply Vibrant, located on Long Island N.Y. In addition, he works with The Escondido Sobering Services and serves on the Board of Directors for the Conversations with God Foundation. J.R. looks forward to continuing to support individuals who are truly ready to create and experience a life that is happy, joyous, and free. To make an appointment for coaching please send an email or call: Simply Vibrant Wellness Center, 516-203-7442, email: Support@SimplyVibrant.com; website: http://www.SimplyVibrant.com. LAURIE LANKINS FARLEY -- Feature Editor…has worked with Neale Donald Walsch for approximately 10 years. She is the Executive Director of his non-profit The School of the New Spirituality and creative co-director of CwGforParents.com, an online program which assists parents in teaching their children the messages from Neale Donald Walsch's Conversations with God book series through multi-media lessons and activities. Laurie has published an inspirational children's book, "The Positive Little Soul." One of her life's greatest passions is helping children, and she believes that the way to establish a strong future for our planet is through encouraging our children to fully embrace Who They Really Are and Why They Are Here. Her hope is that someday we will help children to reach for spiritual, physical, and emotional fulfillment through a balanced approach of understanding mind/body/spirit oneness. As a medium herself, Laurie is excited about the chance to encourage children to embrace their own gifts, whatever they may be. Laurie may be reached at Laurie@TheGlobalConversation.com. EMILY A. FILMORE -- Feature Editor…is a former attorney who decided to forego her planned legal career to be a stay-at-home mom so she could be a hands-on 24-hour-a- day parent. She practices attachment parenting and uses these experiences to write the With My Child series of children's books (www.withmychildseries.com) to help families bond through simple, everyday activities. She is also the creative co-director of and the principal writer at CwGforParents.com. CwGforParents is an online program which assists parents in teaching their children the messages from Neale Donald Walsch's Conversations with God book series through multi-media lessons and activities. Emily infuses her six-year-old daughter's life with the ideas of the universality of love, peace, and kindness espoused in the CwG material and is watching her blossom into a kind-hearted champion of love with a strong connection to Who She Really Is. Emily chooses to home school her daughter because she feels that the school system tries to fit children into little boxes and she wants her daughter to define her own boundaries, naturally, as she chooses them for herself. Emily finds this unexpected path to be highly exciting, challenging, and rewarding - she wouldn't have it any other way! Emily may be reached at Emily@TheGlobalConversation.com. The Global Conversation is a News and Social Media website focusing specifically, exclusively, and directly on the messages of today's New Spirituality, and how they relate to what is going on right now---in the world and in your life. This site allows you to gather information and to share information about our collective, and your individual, experience. Its purpose is to expand the understanding and the awareness of all humanity about the foundational ideas of The New Spirituality as they can be applied on-the-ground in day-to-day encounters. Up 'til now there have been very few places on the Internet where such an exchange and soul expression could take place within the context of contemporary, daily, events. Now comes The Global Conversation, to provide just such a space---a global meeting place where you can join with others from across the globe in reading about and talking about life as it is now occurring, how it can be altered for the better, and the principles of the spiritual message that is, right now, changing the world…thanks to your participation here. What you share here about your personal views and experience can touch hundreds of thousands of people, instantly. And that is the ultimate purpose of this website: to put you in touch with your Self and with the world, helping to create within and outside of you a blessed energy that can turn Fear into Love on our planet. The changing of our world begins with the changing of our Story. And the changing of our story begins with the opening of a New Conversation about Who We Are and Why We Are Here on the Earth. And that New Story includes your entry, right on this website, because opinions matter, thoughts matter, ideas matter, and yours need to be included among those now being placed into the noosphere by people everywhere. The emergence of tomorrow's human is being generated by the exploration, discussion, and sharing of today's ideas, all over the planet. 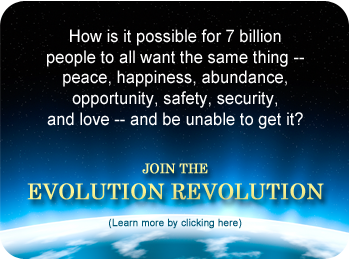 The Global Conversation has created one of the largest communities gathering around The New Spirituality anywhere on the Internet. From here the power of ideas spreads, as it is shared by you with everyone you know. READ THE PAPER, SPREAD THE IDEAS, CREATE THE FUTURE. have joined you in visiting this website, where you may engage in the conversation... right now.